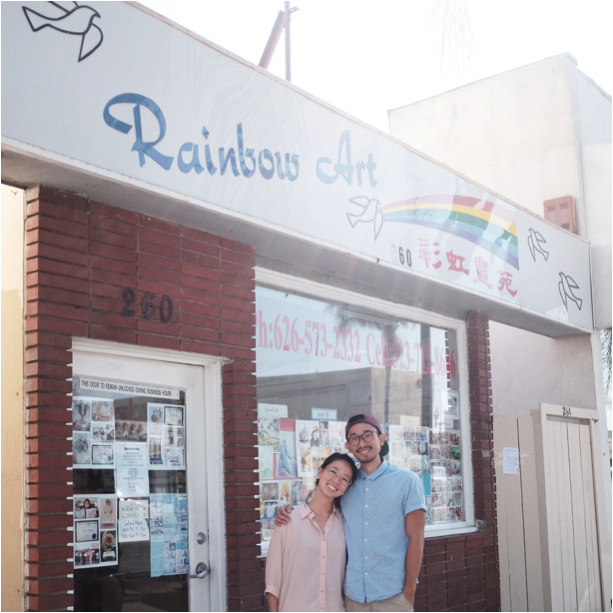 Darren and Trisha Inouye are the directors of the Rainbow Art School in Los Angeles. What is Rainbow Art all about? Here at Rainbow Art, we value three things: Education, Integrity and Communication. With these values we teach art, because art is what we do. What does Rainbow Art offer? Rainbow art provides community-centered art education that aims to shed new perspective on personal experience as an artist. We provide a variety of different classes for a variety of different community interests. Group classes are offered for children to learn fine motor skills, individual classes, a senior class offered weekly, and an advanced program for students who desire to receive more specialized instruction. What new initiatives excite you about the future of Rainbow Art? My wife Trisha and I have recently moved into a new role as of January 2017, and with this has come a new remodel of the facilities, new classes offered, and new dreams to better engage our community through the platform of art! Sanctuary tips during the month of October go to support Rainbow Art, what will these proceeds go towards? This coming February, Rainbow Art will be hosting an art gallery where students from classes offered at Rainbow Art will have the opportunity to display their work. Tips this month through Sanctuary will go towards funding events like these through purchasing frames for the art gallery show. This is opportunity is an active way Rainbow Art desires to make their price point accessible to anyone in order to bless their community. You have a statement that ‘We believe that a rainbow is a promise.’ Tell us more about this, and how this shapes your mission behind Rainbow Art. In Jewish tradition, rainbow literally means ‘warbow,’ and was thought of as God holding up his warbow and not holding it at the earth. Above our door we have the phrase “A rainbow is a promise” as an encouragement to our students. We want to get to know Darren! Tell us about yourself as an artist. I am an illustrator. Quite simply, I love illustrating story. Be watching for another post where Darren will share the story behind his piece ‘Jon’ currently on display at Sanctuary!